Monitoring analytics is integral for the success of any website. Businesses use this data to improve upon their products. And if you're a website owner, you might be using some analytics program to monitor your progress. 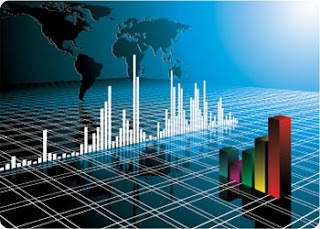 Some analytics programs such as Google Analytics also give you the real-time reporting. This data can be invaluable to optimization efforts, since it can give you insights into how well your users are interacting with your website instantaneously. It lets you respond to immediate changes that are a result of time and are temporary, such as trending and viral topics, limited-time traffic (holiday traffic etc), and so on. If you're looking for an effective real-time reporting solution, look no further than Google Analytics, because it just got better with 4 latest improvements to its real-time reporting! Real-time event reporting will let you see the top events as they occur, which you can then filter as well based on event categories. Furthermore, you can see whether particular segments of your visitors trigger different events. 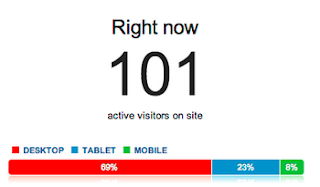 Click on the Real-time section in Google Analytics, and then click on Events to get this feature. You can click on any event category to see Event actions and labels for that category. You can also add filters, which will then be saved. And you can use these filters to see events that a particular segment of visitors trigger, for example, events triggered by traffic coming from social media etc. Google Analytics will now show your traffic broken down based on user agents. In the right now section, you can see your current traffic, and its breakdown based on whether the users are using Mobile, Desktop, or Tablet devices. Clicking on any segment will display detailed analytics. You can view your overall pageviews and compare them with segments of visitors in real time. For example, you can compare your total traffic with your mobile traffic after a particular post on social media to see how well do social media users who are on mobile devices pick up your content. Last, but not least, you can now set up shortcuts for your real-time segment filters. Once you look at your data through a particular filter, you can save it, so you won't have to create that filter again and again. And you can easily access all your shortcuts from the navigation menu on the left side.